Who Needs Cumulative Passive Earnings (CPE)? The better question should be, who doesn't need CPE? Every Steemian should be interested in this and probably a lot is. Besides building a decentralized social media and content creator sharing community that I believe could be a beastly sleeping giant against large legacy tech companies like Facebook, Twitter and Youtube for whom we've seen lately has a massive problem of censorship from centralized organizational heads based on anything they deem "unfriendly" to them; and besides building a community with many friendships as well as share various content with; there are, of course, those who also came to this platform who seen an opportunity to make a living or at least make a side hustle to produce various types of content through Steem as this could revolutionize the way people can make money in a world where some jobs are going the way of automation or as said before, content creators or information providers are getting axed by centralized organizations who are defunding them. Like I said in the intro paragraph, basically continue to get paid on your postings even outside of the 7 day posting period that is currently in place. Just like how if you post on Youtube, you will continue to get paid on your content as long as people continue to watch your videos even if it's a decade old, so essentially, you can get paid forever on said content as long as it's up and viewed. Well, replace "videos" with any content posted and "Youtube" with Steem platform and you get idea. Where Should CPE Be Implemented? Pretty much anywhere on the Steem blockchain that utilizes posting content. @steemit and @dtube being prime places, @partiko, @esteemapp, @dlike, and with more dApps popping up, the list could go on and on...! When Should CPE be Implemented? Ideally, yesterday. Next ideal time, today. 3rd option, as SOON as possible! I think the quicker we can encourage this feature on this platform, the quicker and brighter the future of Steem can be. Also, hopefully this can be implemented where the feature can apply to our already posted content here too. Why Do We Need CPE? Now to the meat of the bones! Why do we need cumulative passive earnings and why do I think this is very important for this platform moving forward. Well first and foremost, because your content doesn't stop being on the platform after 7 days from posting, right? You have folks that can still view your content here even if it's 2 years old! 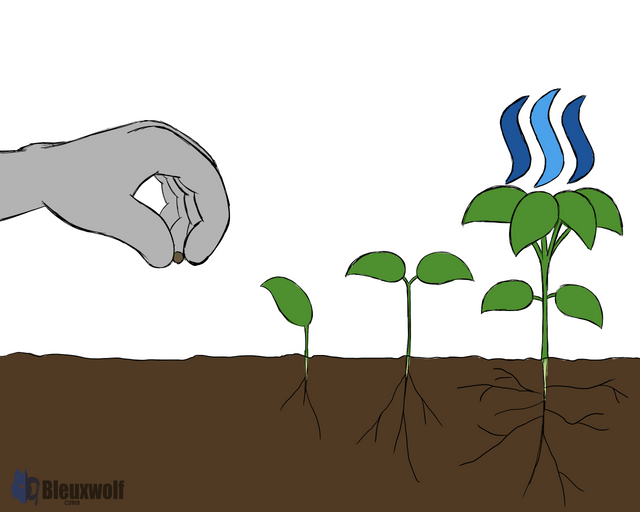 I should know, I had to search up specific articles related to how to operate Steem or other various information that was very helpful to me as I'm sure is also to others, and some of these posts range from 9 months ago to years old posts created by Steem "OGs". This leads to the issue. What is the incentive to voting an old post that's WELL past the payout period much less just even a day after the period ended? I mean sure, you can do so if you really like the post, but nobody is getting rewarded for it because the payout period has passed already, so neither the author nor the curator really getting any of the benefits. The author may get a tiny uptick for the post due to the upvote but it's not going to be of significance if the upvotes are few and far between. The curator, however, has burnt their voting power, and for some users, it may be lot of their voting power. And this is on a platform where one of its top goals is rewarding each other for quality content and curating. In a situation where we want to conserve our votes for the most effective times to help each other, there's little incentive as of current conditions to essentially (as harsh as it may sound) throw away upvotes on older posts. Because remember, this is not like other social media platforms where you have no limit on how many times you can like posts. Thus the creator misses out on potential rewards for providing great content that even someone years down the line finds valuable to them. And not only that, because of the lack of continuous future upvotes, the BEST content that this platform has to offer never gets truly realized because the upvotes practically stop rising much if at all after the payout period has ended. It may not seem like it now but in the future where we hope to see millions of users on the platform, great and maybe helpful content that would age with time would fade out of relevancy like it's fading out of existence. So now, let's say CPE is implemented. What that means is now everyone sees the benefit to curate ALL content, including old posts, pics, and comments. This benefits everyone. If you have a really good content post that's artistically well done or is a ver helpful tip/tutorial that helps lots of folks even say 10 years from now, curators can still show their appreciation for it with their upvotes and you can still get compensated for a post that was done in your early days. And of course, the curator gets their share too. And this applies to comments too if they are upvoted. The content rises among others as among the best content to refer back to because over time, all the folks who viewed it seen it as the most influential and engaging to them. Now, also imagine you are someone that posts hundreds of posts in a few years and those constantly get a few upvotes every so often. Even if it's only a few cents on one particular post, it's a few cents times 100(s) of others that are rewarded like that! You see where this is going. All of this adds up over time as you post more content and eventually you can earn a decent passive income just off your old posts alone. This encourages people to post more (and comment and upvote more) and get rewarded not only immediately but in the long term as well with the long term being exciting to strive for. How Will CPE Be Done? Ok, maybe make this post the Six Ws or Five Ws and How method. Now if this concept is already in the works and near on its way, then I guess you can ignore my ramblings here. I figured I'd add my 2 cents (or .02 Steem Dollar ;) ) here on this topic as I know I'm not the only one who's curious about this. Like I said before, I'm sure everyone if not the majority of Steemians here would be interested in this and wish this was a thing that was implemented. Hopefully this feature will be something that comes automatically for this platform soon. It can open up so many opportunities for folks currently and future ones soon to come in this community. Thank you for taking the time and reading this. If you like the content, please upvote this and resteem as I would love to see this brought forth among the community to begin serious conversation on this feature as I think this could make a HUGE difference for this platform moving forward for not only content creators but for curators, supporters and even common users as well and possibly help encourage more growth and engagement here! If you want to see more of my content, feel free to browse my channel and give me a follow to keep up to date with these my postings! You're welcome Partiko. Happy to add you among the best examples of apps for the community! You're welcome! Happy to add you among the list of best app examples. Your UA account score is currently 1.679 which ranks you at #33543 across all Steem accounts. Your rank has improved 1129 places in the last three days (old rank 34672). In our last Algorithmic Curation Round, consisting of 205 contributions, your post is ranked at #117.